Heat oven to 350°F (325°F for dark or nonstick pan). 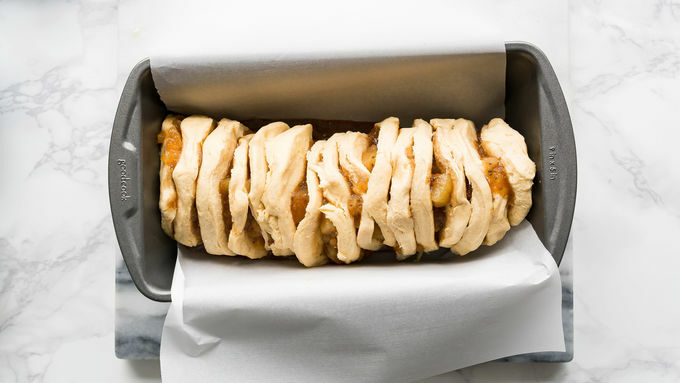 Spray 9 x 5-inch loaf pan with cooking spray. Line pan with parchment paper, allowing paper to hang 2 inches over long sides of pan. Bake 35-40 minutes, or until golden brown. Mix together sugar, milk and vanilla (if using). Drizzle over loaf. Serve warm and enjoy! 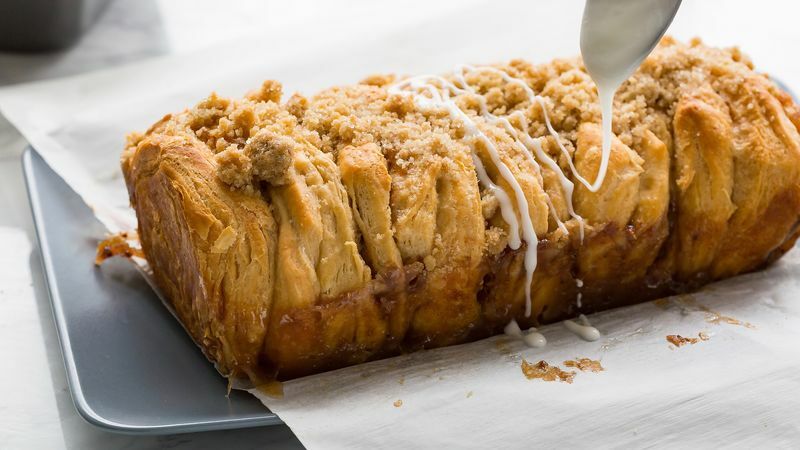 If you grew up loving Pillsbury™ Toaster Strudel and/or apple pie, this easy loaf-pan pull-apart bread is for you. 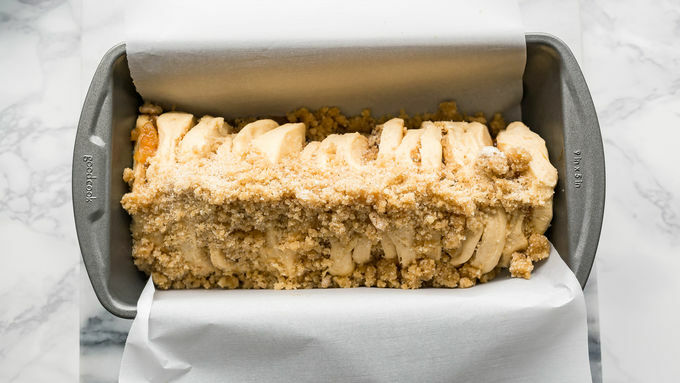 Layers of flaky, buttery biscuits are filled with a sweet cinnamon-apple filling, then topped with brown sugar streusel and baked until golden. And if that isn’t enough, before you take a bite, the whole loaf gets a drizzle of sweet vanilla icing. 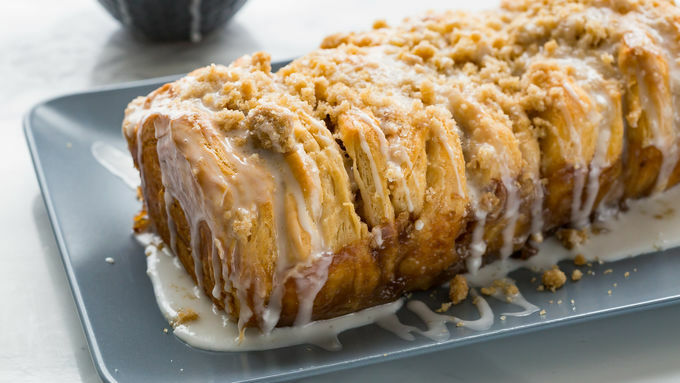 The end result is a sweet loaf of bread that’s perfect for lazy Saturday morning breakfast or late nights when you’re craving a treat. 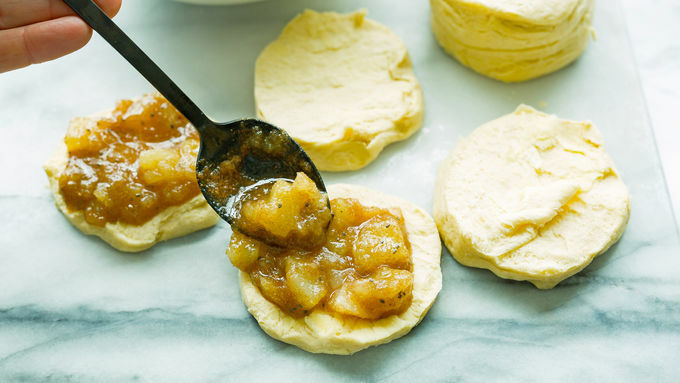 The whole kitchen is about to smell like apples. And cinnamon. Prepare to fall in love with this one!